This two-story residence was built from 1862 to 1863 by Orion Clemens, brother of author Samuel Clemens, better known as Mark Twain. 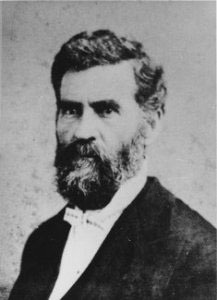 Orion served as the first and only Territorial Secretary (1861-1864), and at times, acting governor of the Nevada Territory. While reporting for the Territorial Enterprise, early in his career, Mark Twain resided at this house with his brother. The high point in Orion Clemens's career occurred while he was living here when he designed the Great Seal for the Territory of Nevada. Because he often served as "Governor Pro Tem" during Territorial Governor Nye's numerous out-of-territory trips, this house became locally known as the "Governor's Mansion." There were no office buildings in the newly-designated Territorial seat of government in 1861. So Secretary Clemens personally paid to furnish the two territorial legislative chambers, housed on the second floor of a hotel in young Carson City, with a canvas curtain separating the two houses and sawdust as the floor covering. Clemens clearly offered strong support of the newly-formed government in Carson City, as he also paid out-of-pocket for the printing of the House and Senate Journals. But Orion Clemens was defeated in his attempts to be nominated as a candidate for Secretary of State in 1864. He and his wife Mollie moved from Carson City about one and a half years later, never to return. The house reflects Gothic Revival and Greek Revival stylistic influences, with 10 original interior rooms, reportedly the finest residence in the Territory when it was constructed. However, the building has been modified over the years. The current stucco surface was applied to the exterior over the original wooden shiplap siding. Additions have been made on the rear of the house, and one on the north side. The front porch has been modified from its original form, and a balcony above the front bay window has been removed. 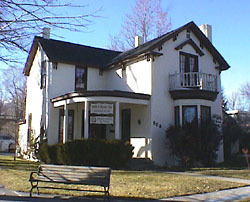 The Orion Clemens House is located at 502 N. Division St., at the northwest corner of Spear and Division sts., in Carson City. It is currently under private ownership and is not open to the public.